Browse: Home » To Do List Catches Up With Fellow List-Lover Jess Indeedy! To Do List Catches Up With Fellow List-Lover Jess Indeedy! London-based American entertainer Jess Indeedy is co-founder of creative events and nightlife company Indeedy Inc., and the magnificent host of possibly the world’s first list-making night, I Love Lists! Tell us about the events you make? I’m the lady boss of Indeedy Inc., a company I started with my husband Charles (DJ Helix) in 2012. We create fun, inclusive events for the public and for private parties. Our most famous brand is Indeedy Musical Bingo, a nightlife game show that combines bingo with music! I run a list-making workshop for ambitious over-achievers called I Love Lists, and also a weekday dance party called Lunchtime Disco. I come up with new concepts all the time. For private and corporate events I just let my creativity flow – I like to include games, crafts, team competitions and whatever makes my guests let go and have silly fun. What makes your events different? Obviously I have a tendency towards the kitsch and quirky (for lack of a better word). But we really focus on light-hearted fun, lots of colour, and creating a warm inclusive atmosphere. I believe life is short and that I was put on this planet to make it more fun, so our events truly come from the heart. One of our policies at Indeedy Inc. is to treat our fans and event guests like family – we want everyone to have the best time from the second they walk in and feel really looked after. 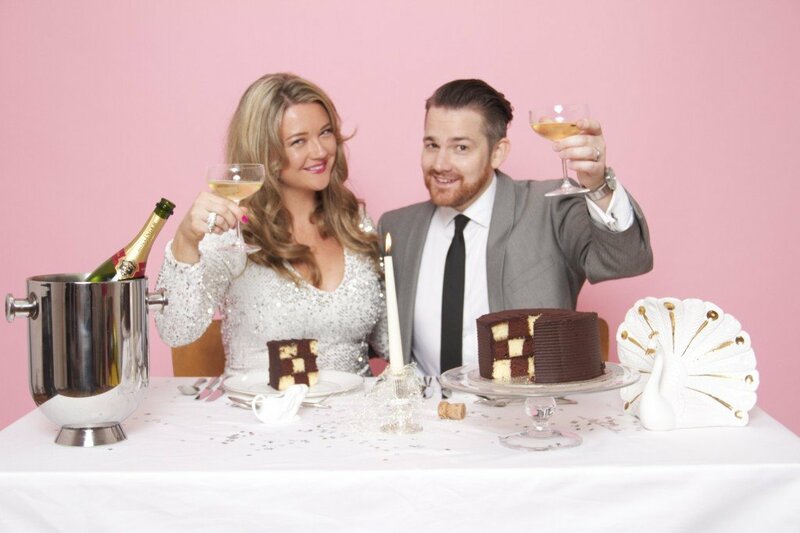 As a husband and wife team we spend a lot of time together coming up with party ideas and all the little details. It’s our life’s work and we love it. What’s your favourite show you’ve produced & why? Whatever event I’m producing at the time is my favourite actually – I get so excited about my ideas and the production of it all. I’m so lucky to be able to plan this side of things AND perform. Our show at Latitude Festival last year was incredible – our stage was so glittery, I wore a cape, and all of our crew dressed up as grannies and danced with me in front of 1000 people. It was awesome and I felt like a superstar. And we get to do it all again this year! YES! 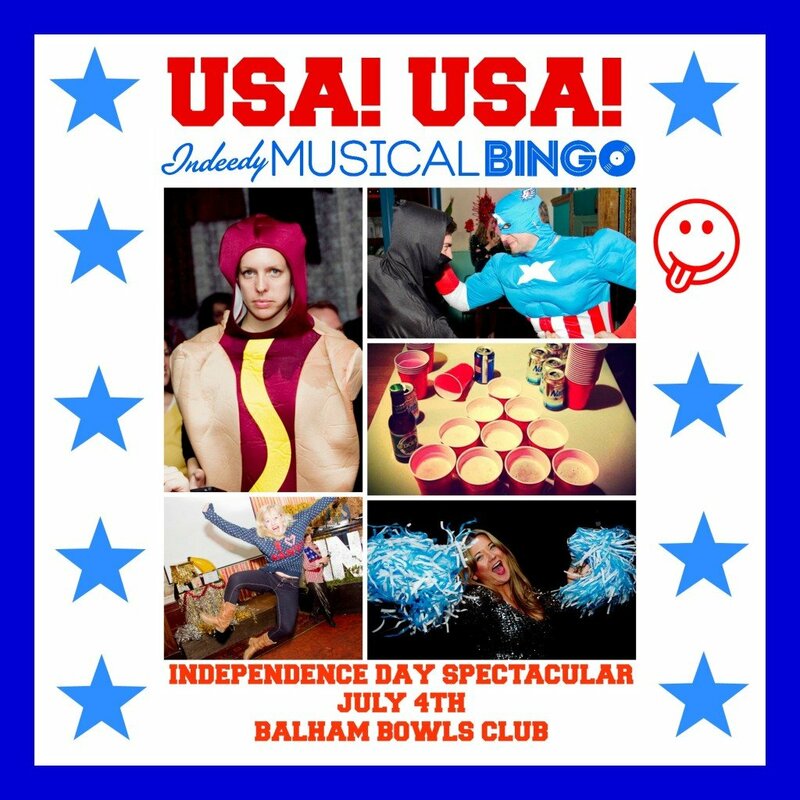 Right now I’m planning our Indeedy Musical Bingo Independence Day Spectacular which takes place on July 4th. As an American (who’s feeling a bit homesick) I am really putting my all into this one. I’ve just taken delivery of red cups for beer pong and we’re putting on a hot dog eating contest. I’m going to present each bingo round in a different regional American accent, y’all. Arianna Huffington. She’s a hero of our time and I love her manifesto about the Third Metric, where success is about more than wealth and power – it’s about living well and taking care of yourself. I met her a couple of weeks ago and I was so starstruck I was trembling. I met all of the Rolling Stones once and that didn’t happen. 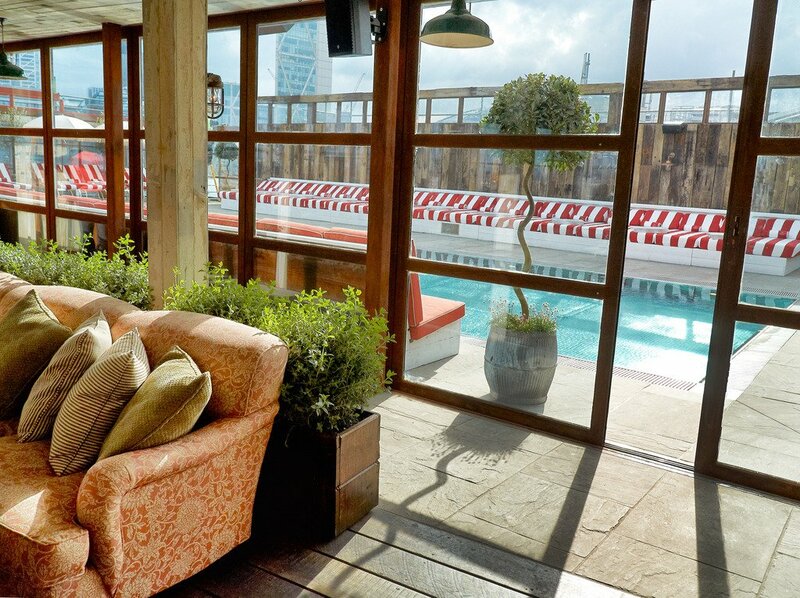 I do a lot of eating, relaxing and partying at Shoreditch House, I mean who could deny a rooftop pool in London? We live in Islington with our cocker spaniel Marlowe, so we tend to go to dog-friendly pubs such as The Smokehouse, The Canonbury for its massive garden, and the Hops & Glory. I am obsessed with karaoke so I spend a lot of my party time at Lucky Voice. My karaoke song is “It’s Raining Men” by The Weather Girls. I’m as partial to a 5 Guys burger as I am to an afternoon tea at Fortnum & Mason (how very American). I never tire of the Tate Modern, I love all that light and space and I always leave so inspired to create. Drink, Shop & Do always put on amazing free and cheap activities, like making festival flower headbands or vintage pin-up makeovers (and they make incredible cocktails). I spend a lot of time walking Marlowe in Clissold Park which is really relaxing. This week I did Yoga With A View at Southbank Centre, it was only a tenner and I loved doing a mountain pose overlooking the Thames! What’s on your To Do List for the rest of 2014? We’re performing Indeedy Musical Bingo at Latitude, Secret Garden Party, Standon Calling and Wilderness this summer so the keyword is definitely festivals! Also Indeedy Musical Bingo is now in its 8th year so we’re celebrating that by having a big party. We’re looking forward to Arcade Fire in Hyde Park, and awesome independent record label Wah Wah 45’s 15th Birthday Party at Oval Space in October. Oh, and I’ll bake a rainbow cake for anyone who can get me Dolly Parton tickets at the O2!